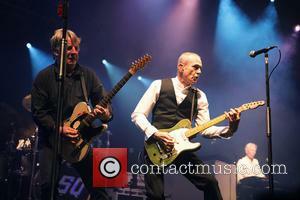 Status Quo rocker Rick Parfitt is set to undergo an operation on his leg to improve his circulation. The 64-year-old musician underwent heart surgery in 1997, and treatment to clear a blocked artery following a frightening heart attack in 2011. He had an extra stent inserted into his heart last year (12) and now he is preparing to undergo another operation to place one in his leg to improve his circulation and reduce the risk of further complications. Parfitt admits he is frightened by the idea of losing mobility in his leg, telling Britain's Daily Mirror, "I am having another stent in my leg to improve the circulation there. 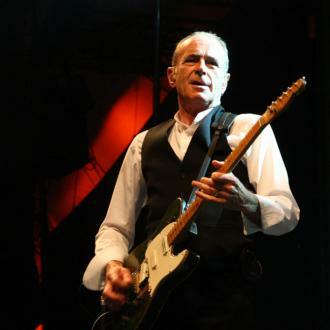 My mobility has never been affected before and (bandmate) Francis (Rossi) keeps saying, 'How do you keep bouncing back?' But one day I won't (bounce back), so now everything has to stop." Parfitt goes on to reveal doctors have ordered him to quit smoking: "I've been told if I don't stop smoking I could die very soon, so I'm literally stopping today. I want a peaceful healthy time now and I want to see my youngest kids... grow up. So anybody who sees me with a cigarette after reading this, either slap me round the head or kick me up the a**e because that's over for me." The news comes just days after it was revealed Parfitt's wife Lyndsay has been diagnosed with breast cancer.